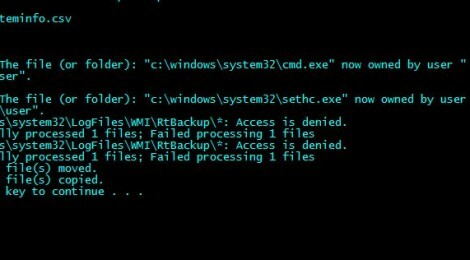 Browse: Home / Winpirate – Automated sticky keys hack, Post exploitation it grabs browser passwords, history, & network passwords. 1. We create a way to automate doing the sticky keys windows hack from a bootable USB. 2. Then, we automate getting as many saved passwords as possible, drop a listener, and delete all traces that we were there. ← MorphAES – IDPS & SandBox & AntiVirus STEALTH KILLER.